Susan Allen receiving an award on behalf of BC Randonneurs. Later we seemed to be celebrating, with the same trophy, BC women's participation. 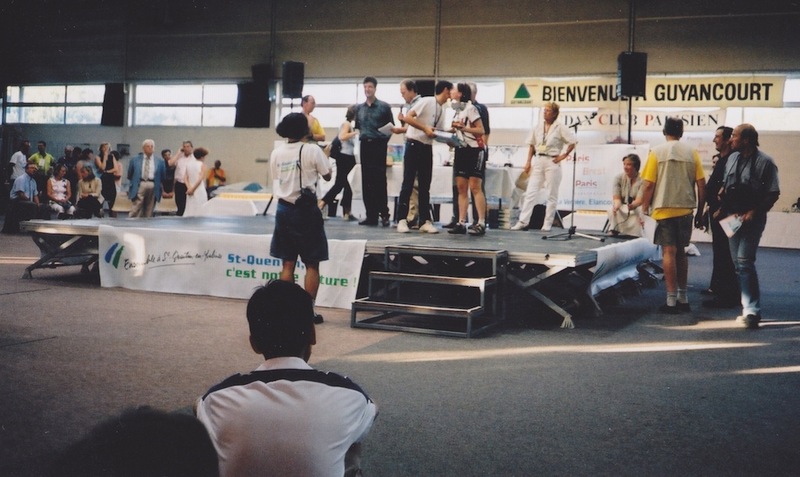 The only official award we won was the "Coupe TANDEM" - club with most tandems - 3.